Forward Alex Burrows is entering the coaching ranks after announcing his retirement from the NHL as a player on Friday. The 37-year-old has been named an assistant coach of the Laval Rocket of the American Hockey League — the top farm club of the Montreal Canadiens. The 37-year-old has been named an assistant coach of the Laval Rocket of the American Hockey League — the top farm club of the Montreal Canadiens. Burrows will work under new Rocket coach Joel Bouchard. Daniel Jacob and Marco Marciano are the other assistant coaches. "Alex perfectly matches the profile we were looking for," Bouchard said in a statement. "In addition to being an exceptional individual, he is a very good communicator." The gritty Burrows had 205 goals, 409 points and 1,134 penalty minutes in 913 NHL games over 13 seasons with Vancouver and Ottawa. The Senators bought out his contract last week. The six-foot-one, 197-pound left-wing from Pincourt, Que., played in 913 regular-season games with Vancouver and Ottawa, putting up 409 points (205 goals, 204 assists) and 1,134 penalty minutes. "When you have the passion, that's one thing. You have to set a vision and have a plan for yourself. I feel very fortunate to have played as long as I did," Burrows said in an interview with NHLPA.com. Undrafted by an NHL club, Burrows put in his time in the ECHL and AHL. He worked his way into a spot on the Canucks roster late in the 2005-06 season due to an abrasive style complemented by offensive talent. He spent parts of 11 seasons with the Canucks, establishing himself as an effective pest and earning a spot on the Canucks' top line with superstar twins Henrik and Daniel Sedin. Known for piling up penalty minutes, Burrows also found an offensive spark with the Sedins. He hit the 20-goal benchmark four times and had a career-high 35 goals, 32 assists and 67 points in 2009-10. The next season he had nine goals and eight assists in 25 playoff games as he helped the Canucks reach the Stanley Cup final, where they lost to Boston in seven games. The Senators acquired Burrows from Vancouver on Feb. 27, 2017 in exchange for prospect Jonathan Dahlen. 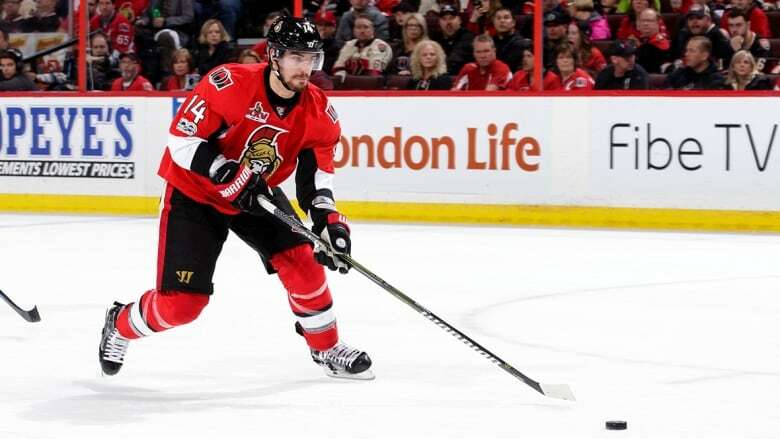 Ottawa signed Burrows to a two-year contract extension worth US$5 million the next day. Canucks general manager Jim Benning said at the time that the move was a hard one. "Alex Burrows has been the heart and soul of our franchise for a long time," he said. "He's given us everything that he's had." Burrows had 11 points in 20 games for Ottawa at the end of the 2016-17 season and added five assists in 15 playoff games as the Senators reached the Eastern Conference final. But his production fell off sharply last season, the first of his extension. He had six goals and eight assists in 71 games as the struggling Senators posted the second-worst record in the NHL. Burrows said he's happy with his career, but will miss his teammates. "The amount of fun we had working on our craft, the time we spent together away from the rink, the time we went through adversity together — those are things that I'm going to miss," he said.